KoopaTV: Rescue V: The Fearless Color Defenders! 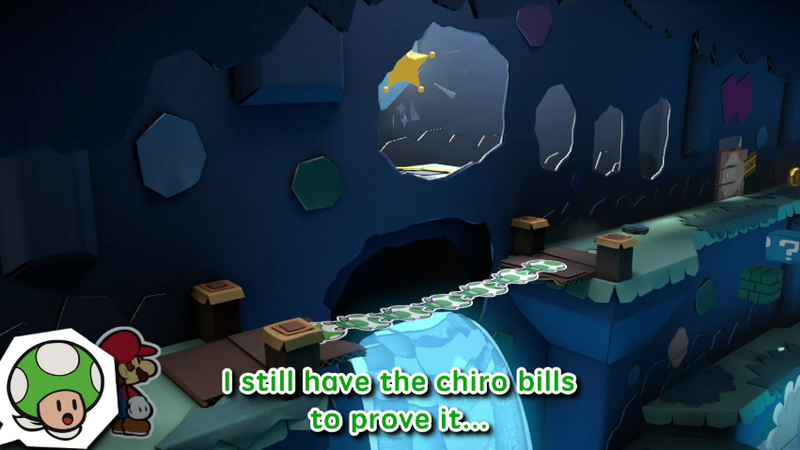 This member of the Rescue V has chiropractor bills after being stomped on by Mario. And he's supposed to be his ALLY. How do you think us Koopas feel?! I'm wondering who all of the other Toads in the screenshot are. Are they fanboys or cosplayers of the main Rescue V Toads? 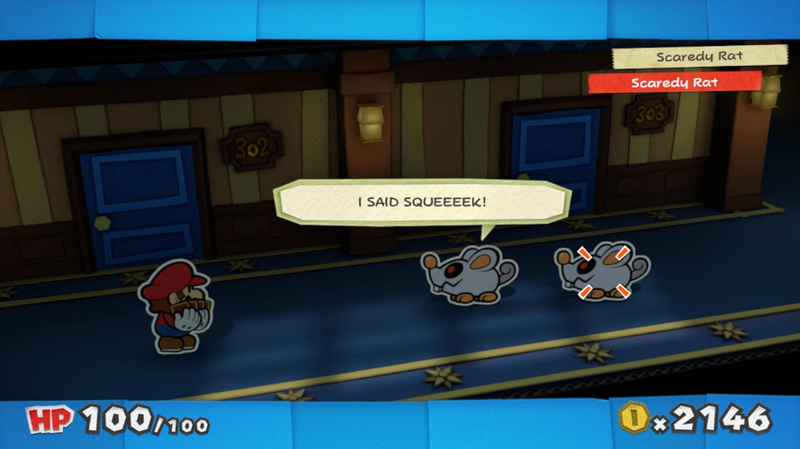 Or are the Toads using the Copy Block from Mario & Luigi: Paper Jam? I was wondering where the Copy Block even came from, and why it was Paper Mario's gimmick despite it not being from the Paper Mario series, but it may be that the Copy Block really is from that and we just didn't know about it yet. Mario has only one cosplayer, and he's not even wearing the right clothes. Let's get to the facts: This is yet another demonstration of the commitment Intelligent Systems has to truly having each and every Toad shine. Soon, they'll be replacing the plumber! Rawk made that, and it directly parallels the Koopasentai video he made for KoopaTV staff pride over a year ago. According to him, I'm Red Toad, Purple Toad is Vortexica, Yellow Toad is him, and Kamek is Green Toad. (Blue Toad is Future KoopaTV Staff Member?) Alternatively, according to this interpretation, I'm Blue Toad and Red Toad is the flashing Bowser sign which is somehow in the middle, making the colours coordinate perfectly. Personally, I wouldn't mind being replaced with a Toad on KoopaTV. I could take a nice vacation, much like what Spiky Tom, Smorg, and Prince Squirp Korogaline Squirpina are doing. There's a difference between taking a well-deserved rest & relaxation... and outright dying off and being drained of your, well, colour (personality). An example of the latter is King Bowser being in Paper Mario: Sticker Star and not saying a word, despite him being talkative being a very key part of his personality. Did you know in Paper Mario: Color Splash, random enemies will have text boxes while they wait for your turn-based action? Picture source: GameXplain's 10 minute footage of Dark Bloo Inn, which you should watch. If literally random irrelevant Scaredy Rats are insisting on their voices being heard, then I don't think we'll run into the issue of pivotal characters not having a voice. 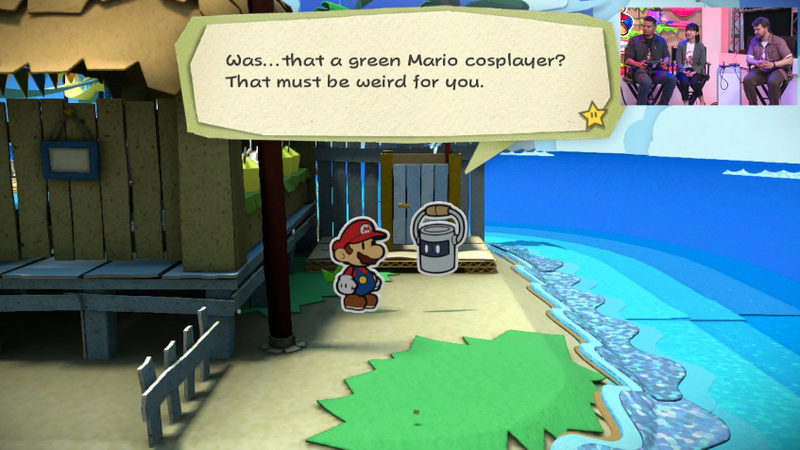 Meanwhile, detractors of Paper Mario: Color Splash still cling to misinformation about the game, or cling to outdated and irrelevant notions of what THEY expect a Paper Mario game to be like. For example, comments sections and Reddit dwellers still bemoan the lack of partners. I issue this challenge to those folks: Can you point out where and how, in the Nintendo Treehouse E3 2016 footage or the GameXplain footage I just linked to in the caption, the addition of Paper Mario: The Thousand-Year Door-esque partners would enhance gameplay or story? Anyway, Paper Mario: Color Splash releases this October 7. We'll hype and defend it more closer to that release date, in all likelihood. If any of the Rescue Squad Toads want to write a guest article for KoopaTV, they're welcome here. Check out the revised Guest Posts information page, renovated as of a week ago, for more information on how to do that. Of course, you don't need to be a Toad to write a guest post, but that just seems to be the way of the future. Ludwig absolutely tears apart and disrespects one of those partners, Koops, in this article. Wondering about Episode 2 in the Fearless Color Defenders series? Here it is! King Bowser is indeed in the game, and he does indeed talk. Rescue V is the most interesting thing I've seen from Color Splash so far, and it's lessened my negativity toward the game. I'm still not convinced it's going to be wonderful with a fun story and everything, but at least the characters aren't soulless. Have we seen any non-enemy NPCs that aren't Toads (not counting Peach and the paint bucket)? No, we haven't seen non-enemy NPCs that aren't Toads, Peach, or HUEY (not just "the paint bucket"), but that doesn't mean that the game is bad or anything. It's an indication that the plumber is bad at making friends with groups he has historically enacted genocide against. I just remember when I played the first Paper Mario for the first time, I thought it was so cool that I could walk around and chat with Goombas and Koopas and stuff and have them as partners (not to mention Bombette, since Bob-ombs were my favorite at the time). Next, you'll forget my name! And it's written out for you! This trailer seemed to win over a lot of people to the game. The amount of personality they were able to cram into that short trailer was absolutely mind blowing. I love these guys, and I'm excited to see more from them in the final release. See, we (KoopaTV's staff) had a strong hunch months ago that Color Splash would be like what people now are seeing from this trailer. And they didn't believe us. I'm excited too, especially since we know ahead of time they will play a major role. Last I checked, you tried to join KoopaTV and then disappeared when I asked for sample writing. It's great to see Toads finally get their time in the spotlight. First, it was Captain Toad, and now it's the Rescue V. I will be sure to pick up Paper Toad: Color Splash this October to show my support of those unsung heroes.